I am having difficulties logging in. We offer three types of subscriptions: print only, digital only or premium (includes print and digital). Each subscription is designed to fit how you prefer to consume our content. Visit musicweek.com/subscribe for complete details of what is included in each package. I’m interested in finding out more about Music Week corporate or institutional subscriptions. This package is tailored for each company or academic institution. The key advantage of a corporate subscription is that they are bespoke, meaning we can offer either a digital only solution or incorporate print depending on how your team prefers to consume our content. The number of users is up to you – the more you add, the lower the cost per user becomes. A corporate subscription will also streamline your purchasing process by providing one bill for all your users, which will lead to lower administrative costs for your company. Please email us at musicweek@abacusemedia.com for more information. How long does it take to set up my musicweek.com access? If you are a new subscriber you will receive an email to activate your login. Our app uses the same login as musicweek.com so you can sign in straight away. Full access will be provided once payment has been received. In order to gain instant access, it is advised to pay by credit card. My musicweek.com username/password is not recognised. You can reset your password by clicking here and you will receive an email with a new activation link to update your details. If you haven’t received an activation email from us, please check your junk folder. If after this you continue to have problems logging in, contact our customer service team at musicweek@abacusemedia.com or by calling us on +44 (0)208 955 7020. Your username will be the email address you used to subscribe. If you have forgotten your password use the forgotten password link and enter the email address you subscribed with and click submit. You will then be able to reset your password. Please note that in order to protect your security, we do not hold password information. If you have not created a password and did not click the activation link within 48 hours please contact Customer Services at musicweek@abacusemedia.com who will assist you further. How long does it take to set up my app access? Your app access will be activated at the same time as your subscription once we have received payment. In order to gain instant access, it is advised to pay by credit card. Please email musicweek@abacusemedia.com for more information. Where can I find my subscription reference number? This appears on all your renewal notices, invoice notices and address label of your magazine if you are a premium or print only subscriber. You will be sent reminders via post and email when your subscription is due for renewal to ensure you have no lapse in service (with the exception of subscribers via Direct Debit as that is a continual service). How do I change my delivery address or username (email address)? You can update your details at any time yourself, visit your Manage Account page and fill in our edit user details form. Please remember to include the following details when sending your changes to customer services at musicweek@abacusemedia.com. Date to activate new delivery or email address. How do I order back issues or additional copies? Back issues and additional copies of Music Week are available to purchase. Simply email musicweek@abacusemedia.com call +44 (0)208 955 7020 or visit to find your local stockist. Subscribers have access to all available back issues from our archives, for the duration of their subscription via our app. Once the subscription has expired they will no longer have access to the archive. You can pay for your subscription online by credit card (Visa, Mastercard and Maestro) we DO NOT accept American Express. You will receive immediate access when you use credit card payments online. Alternatively you can send cheques to our customer services team at the address below. Please make cheques payable to NewBay Media Europe Ltd and include your order form. We also offer BACS transfers, please ensure you clearly state the publication the payment is for and your invoice number and company name or surname. Payments that do not have full details may be unallocated and could result in a delay in starting your subscription. Contact musicweek@abacusemedia.com for our account details. NewBay Media Europe Ltd will appear as the company name. If you subscribed via an agent you will need to contact them directly. How do I claim for missed issues? Please note: our period for claiming a missing issue is within the last three cover dates. This is to ensure we have the issues in stock so we can look into the problem further. 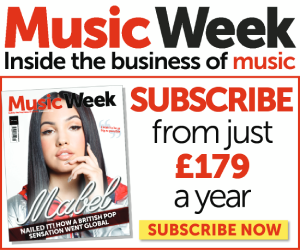 Please contact customer services at musicweek@abacusemedia.com as soon as possible stating your subscription reference number and the cover date of the issue that you are missing. If you no longer wish to continue with your subscription, you are able to transfer it to a colleague at any point during the year. Please include all your account details as listed below, if you wish to do this. Reason for your cancellation, this feedback helps us better our product offering. All refunds that relate to NewBay Media products or services are at the discretion of NewBay Media . However we can only refund the term left on your subscription if you paid for an annual subscription and not a full refund. How do I report a delivery problem? Please contact customer services on musicweek@abacusemedia.com or call +44(0)208 955 7020 where we can take this up with Royal Mail. Please also check that your delivery details are correct when you call, or check by using the Manage Account page on our website. We will deliver any printed magazines in your subscription to the address you supply to us when you place your order. You agree that we will not be responsible for failure to deliver the magazines if you have supplied us with an incorrect address. We reserve the right to dispose of incorrectly addressed magazines and their contents without an obligation to refund you or any other person if they are returned to us and despite efforts to contact you we do not receive correct address details. How do I sign up for email alerts? As part of your subscription you automatically are signed up to Music Week daily email alerts. musicweek.com enables you to customise the information you receive, so whether your interest is in a particular category, or newsflashes or chartpack updates, you have control over what you receive. Click to manage your email alerts – you can update your information at any time during your subscription and select which alerts you wish to receive. 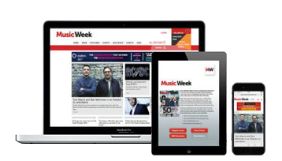 The musicweek.com news service contains original interviews, fresh analysis and insight that you will not find anywhere else. I’ve signed up for email alerts, but I’m not receiving them? Newsletters can be stopped by company firewalls and spam filters. Please check with your IT Department about allowing the newsletter through. If this is not the case, please contact customer services on musicweek@abacusemedia.com and we can look into this matter and double check your email address is on the newsletter distribution list. To ensure safe delivery of your email alerts please add our email address to your safe senders list. How do I change my preferences or unsubscribe from an email newsletter? How do I sign up for a free trial to Music Week? To sign up for a free trial, please click the free trial button which is located on the homepage of musicweek.com. Alternatively please click here and follow the instructions. Each trial lasts 4 weeks and gives you access to subscriber only content on the website as well as a copy of our digital magazine. Forward Features/Media Kits and Advertising Queries. Yes the app is free to download, but you need to be a subscriber to view all the content. The log in details for the app are the same username and password you use for musicweek.com. What devices is the app available for? The app is available on both Android and Apple smartphones and tablets. Visit www.musicweek.com/music-week-app to download the app page. Why is the app/issue taking a long time to download? Ensure that your device is connected to either a Wi-Fi or 3G/4G network. Check that you have enough storage space on your device. Ensure you haven’t used all your data allowance. If in doubt please check with your network provider. Check that you have the latest version of the app installed. Use the app store app on your device to see if there’s an update available to download. Ensure you have a compatible operating system installed. Close other apps as they may affect the speed of the device. I’m already a subscriber. Is the app included in my subscription? Yes, if you are a current subscriber your log in details for the app are the same ones you use for the website. My company has a corporate subscription but I don't have a username and password, so how do I access the app? You will need to register your details here, your username is your email address and you can create a password. Alternatively please email musicweek@abacusemedia.com who can assist you. Will I only have the latest issue, or all the back issues? You'll be able to access all the issues we have uploaded in the app. Every issue you download will remain on your device.